Every once in a while I’ll shine the light on a vendor. This added exposure comes from awesome customer service, great prices or simply because I think the idea is outstanding. With this online store that I’m about to mention, the idea was brilliant! 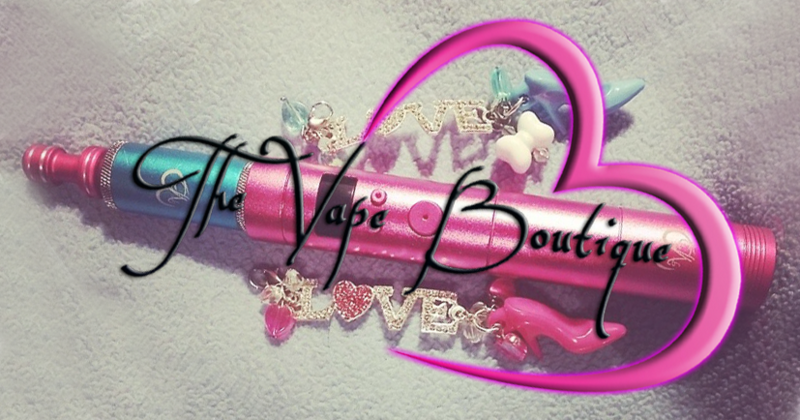 The Vape Boutique is an online vape store that caters specifically to the ladies who vape. What I find most interesting is that it doesn’t just stop with the name, the whole website and products are geared towards that girly theme that the ladies require. They’ve got pink mods, bright and colorful tanks, bunny drip tips, leopard zip cases, vape charms, and as funny as it may sound, bedazzled tanks. I find it awesome that this site is stocked with only products a lady would purchase, and for that it’s a must visit – to purchase some girly girl products or to view the wonderful world of The Vape Boutique. As a promotion, The Vape Boutique gave me some deals to share with you all. Thank you so much! I’d also like to add, we LOVE to work with female owned/run companies! We will be announcing two awesome lady partnerships in the coming weeks! This post is quite old. The site may be down.